For a nothing less than drool-worthy getup, marry a pink fur coat with a pink leather pencil skirt. If you don't like spending too much time on your looks, wear a Glamorous Petite coat in panelled faux fur with black chinos. Perk up your getup with black leather ankle boots. 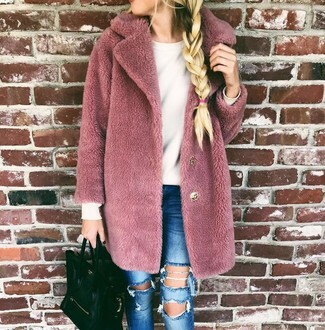 If you don't like getting too predictable with your ensembles, try teaming a pink fur coat with blue ripped skinny jeans. 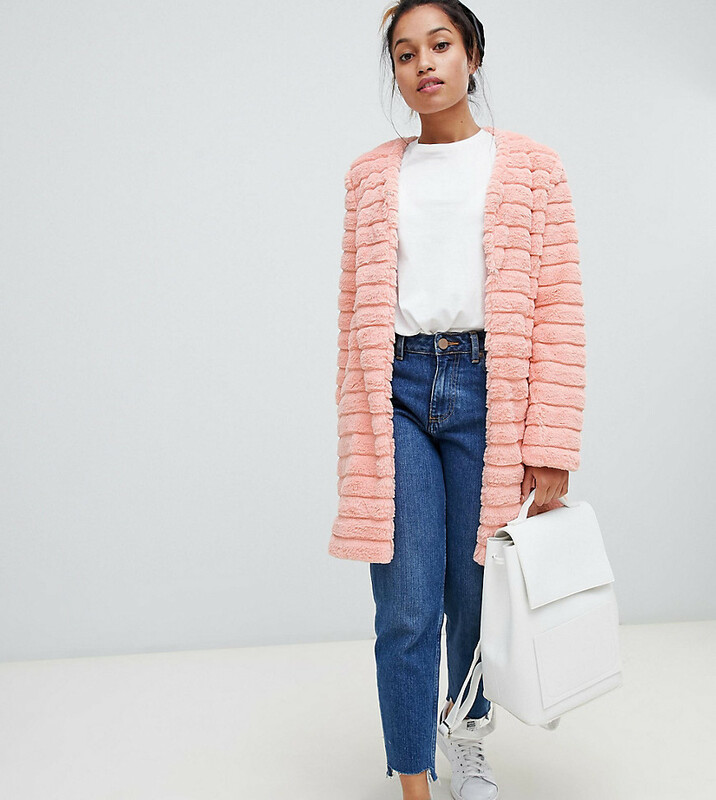 For a knockout-meets-stylish ensemble, try teaming a Glamorous Petite coat in panelled faux fur from Asos with grey skinny jeans — these two pieces fit really well together. Make people go weak in their knees by wearing a Glamorous Petite coat in panelled faux fur and a pink leather pencil skirt. For a smart casual ensemble, pair a Glamorous Petite coat in panelled faux fur from Asos with a white bodycon dress — these items a work setting nicely together. White leather heeled sandals are a wonderful choice to complement the look. If you're on a mission for a casual yet totally stylish getup, consider pairing a Glamorous Petite coat in panelled faux fur with navy ripped skinny jeans. Both items are totally comfy and will look fabulous paired together. Perk up your ensemble with black leather platform loafers. Consider wearing a Glamorous Petite coat in panelled faux fur and grey dress pants to steal the show. When it comes to footwear, this ensemble is finished off nicely with white leather ankle boots. For a casual stylish ensemble, team a Glamorous Petite coat in panelled faux fur with white skinny jeans — these items play nicely together. Pink suede lace-up ankle boots work amazingly well within this ensemble.